When a month starts with a whole day dedicated to fooling people, it feels like a good time to talk about the importance of having fun, especially at family dinner. Most of us probably have childhood (or even adulthood!) memories of being told “Stop fooling around!” or “Don’t play with your food!” at the dinner table. We may even say those same things to our own children. But it may be time to reconsider. Did you know that researchers in Finland found that when kids were allowed to experience food with all five of their senses — yes, including touch! — they were more likely to choose fruits and vegetables than they were if they weren’t allowed to use all their senses to explore foods? Did you also know that the American Academy of Pediatrics recommends parent-child playfulness as a good way to form stronger family connections? 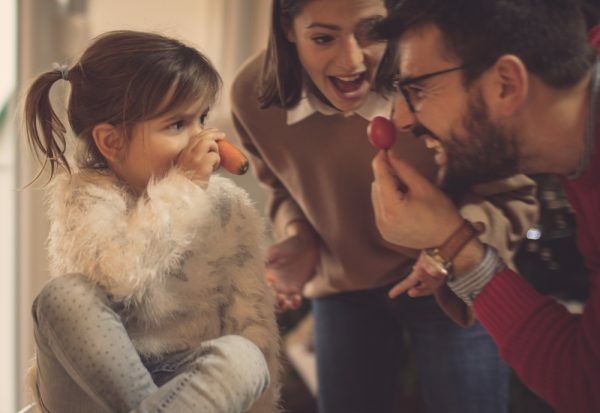 Both of these are good reasons to take a step back from the idea that family dinner should always be a well-mannered, serious time, and try approaching some mealtimes as playtimes instead. Play with your food. Whether it’s letting young children paint with food coloring and make edible collages, challenging older kids to a blindfolded smell test or ingredient race, or getting everyone involved in a family Iron Chef challenge, making food a hands-on exploratory experience can broaden horizons and make mealtime fun. Let them move. Often, adults say things like “Stop fooling around!” to children who are having a hard time sitting still at dinner. Sitting nicely in a chair and eating with utensils might not be developmentally appropriate for some kids, especially very young children or those with ADHD, autism or other diagnoses. And even typically developing kids and teens might feel restless and fidgety after a long day of sitting and paying attention at school. Try letting kids stand at the table instead of sitting, play music during dinner and take dance breaks between bites, start dinner with a family dance party or some group yoga poses, or play table games that allow players to get up and use their bodies, like Guess that Emotion or Charades. You can also take moving during dinner to the extreme by adapting our Walking Dessert idea — how about wrapping up tacos or sandwiches street-truck style to eat while you walk? Invite laughter to the table. Dinner doesn’t have to be serious to be meaningful. Make a family joke jar, allow technology only for sharing funny memes at the table, play a round of Cat and Cow or try some tongue twisters to get the giggles going. Break the routine. Who says dinner always has to be eaten in the same place at the same time? 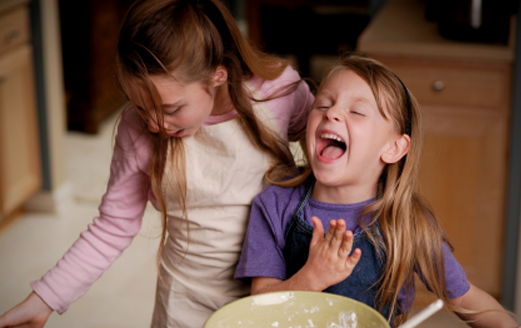 Every once in a while, purposely dedicate your dinnertime to fooling around together. Indulge your gaming-obsessed teens and tweens by spreading out snack foods near the gaming system and asking them to show you how to play their favorites. Invite kids to join you on a picnic blanket or inside a tent for hot dogs, s’mores and outdoor activities. Wear pjs to dinner and serve dessert first, or set everyone up with popcorn, pizza and movies to enjoy together. There are lots of benefits to eating together as a family, but one of the most enduring is the positive memories you can make when you set aside time to spend with each other and share food, fun and conversation. Adding some “fooling around” to the experience can help make those memories ones you’ll want to share for many years to come. Meet the Sterenbergs, a family of five from Ohio who are prioritizing frequent family dinners filled with bad jokes and laughter! 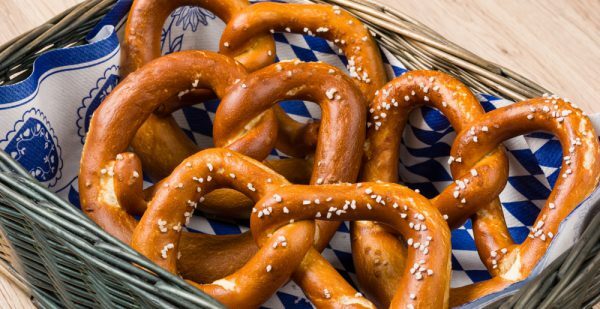 Get hands-on and use all your senses to make pretzels together — bonus points for fooling around with new and different shapes! Fool around with new tastes and old favorites, and ask diners to guess the ingredient. 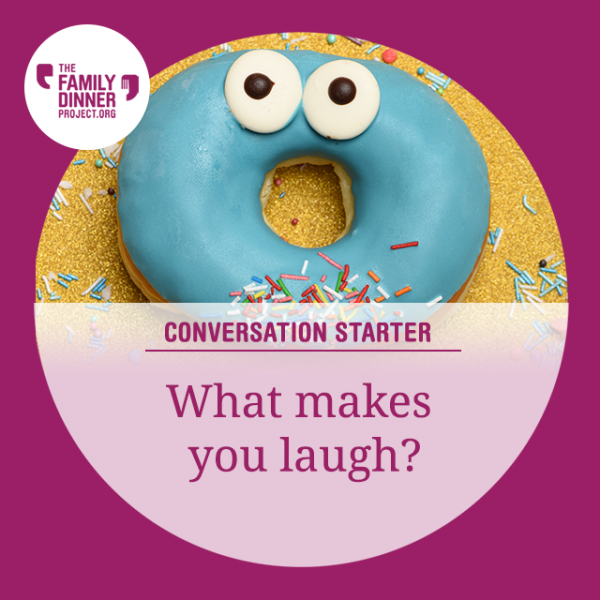 Get everyone in the mood for a fun family dinner with this conversation starter!